Moving off campus and into my first apartment in Boston really made my interior eye switch on. So much so that I've become slightly obsessed. I analyse every space I'm in and it's giving me so much joy. Going home to London and being in my beautiful family home made me so happy. The details are what makes the home and I was noticing every element like it was the first time. As I write this, sitting in my new room in my new apartment, I'm very excited about the place that interiors could hold in my future. Additionally, I can't wait to post pictures of my new room - so stay tuned for that. The kitchen has always been one of my favourite rooms in the house. It's so light and inviting, as well as being the home of all the food. 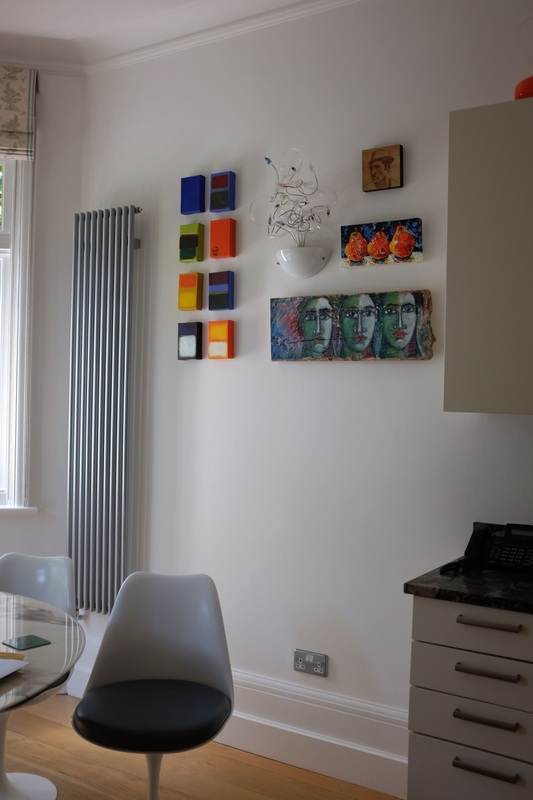 This radiator is a piece of art within itself and ties in perfectly with the collection of smaller pieces beside it. The colour orange is a staple around the house and that can definitely be seen in the kitchen. Here in the rectangular art as well as the painting of the pears. There's also the orange vase that you get a little view of above the cabinets. 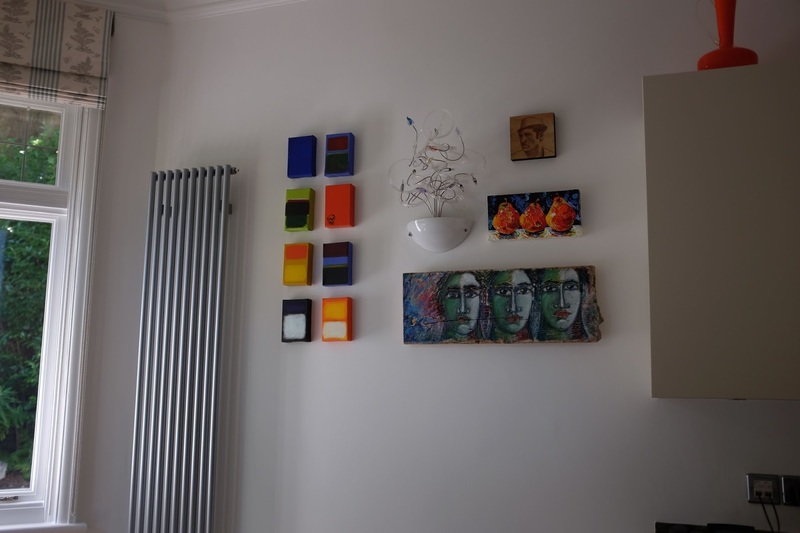 A lot of the art has significance to my family as we bought them on various trips we've had together. The ladies on the wood we got in Greece and the pears in Atlanta. These are special details that make the space personal to the owner. 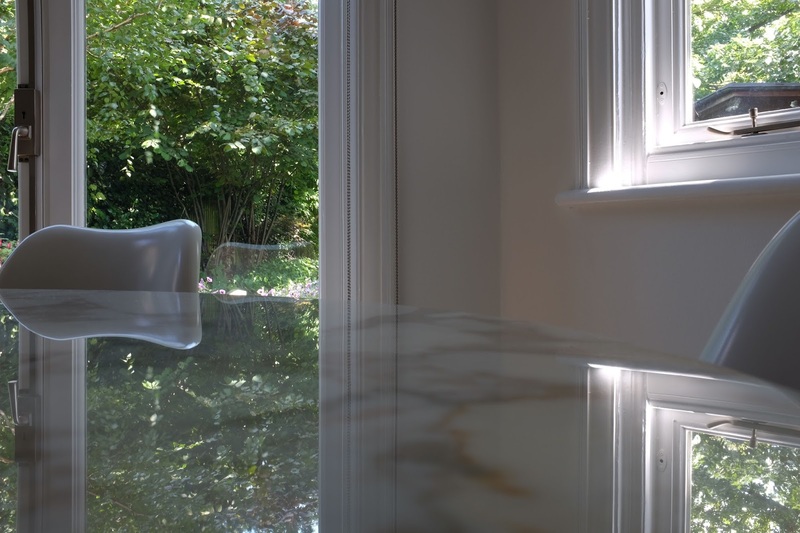 In this image you can see our dining table chairs and the edge of our round, white marble dining table. The smooth design of the chair and the round table give a cosy and inviting feeling to family dinners and the room as whole. The table is not in the centre of the room but it is the focus. This nook has a lot of detail. The silver spider, as I call it, was a house warming gift. 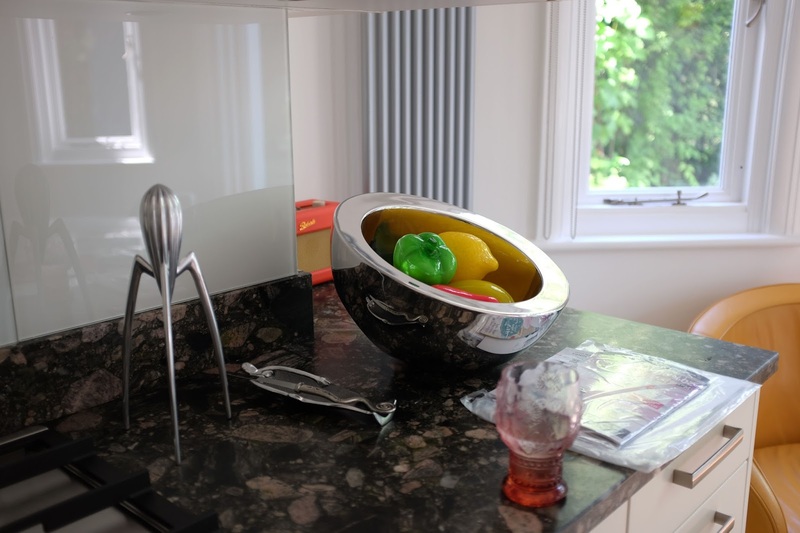 It took us far too long to realise it's purpose of a lemon squeezer, but to this day I don't think it has been used for anything more than a conversation starter and a quirky counter top piece. I love the dish holding the letter knife that is a person laying down, you can see the detail slightly clearer in the reflection of the bowl. Speaking of the bowl, it is full of my mother's favourite item; glass fruit. I think some were received as a gift and any that we have come across since have been purchased. I love that we have a faux bowl of fruit in the kitchen. Another orange item peaks through here, a beautiful Roberts Radio. Another shot of the kitchen table. I love the reflection here, of the outside greenery onto the table and the chair onto the window.